Are you looking to improve your race times? 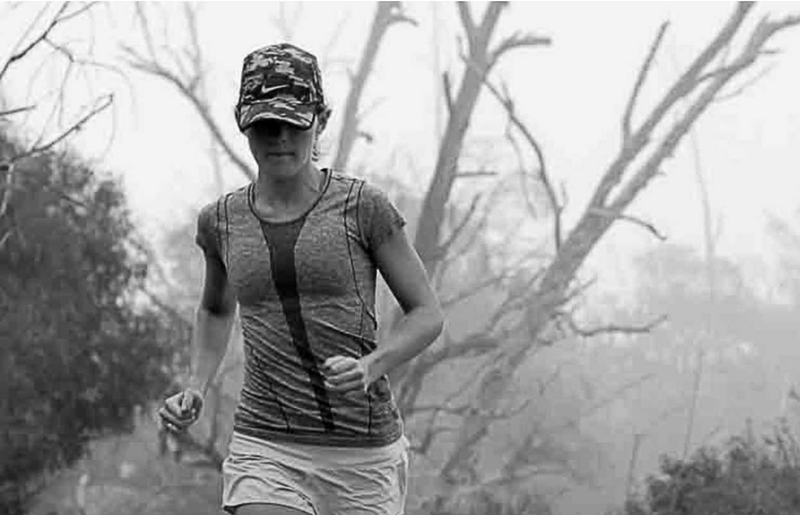 Have you hit a plateau in your running performance? 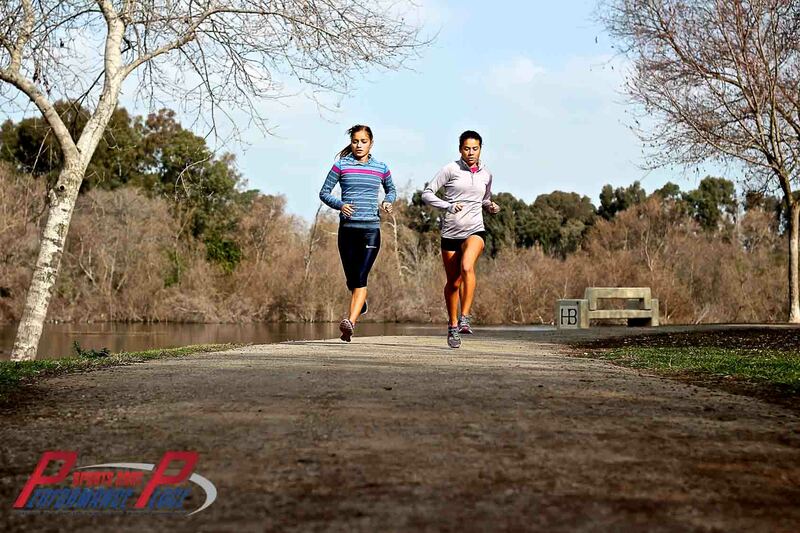 Are you wanting to take the next step in your running program? Then you are in the right place. The tips in this article will assist you in getting over the hump. I will be going over some effective tips that you can start today. Will there be some technical tips? Yes, but that is the nature of the beast. If you want to get faster, you will likely increase your pace and decrease your time by less than 5% if you are truly in shape. This article will primarily focus on weight training for runners, and specifically, how it is the missing link in performance for the strong majority of intermediate, advanced and even a few elite runners. I’m Dr. Sebastian Gonzales and I spent 30 hours of my life writing this guide so you can utilize current research to run better. What should you be measuring in your quest to better race times? 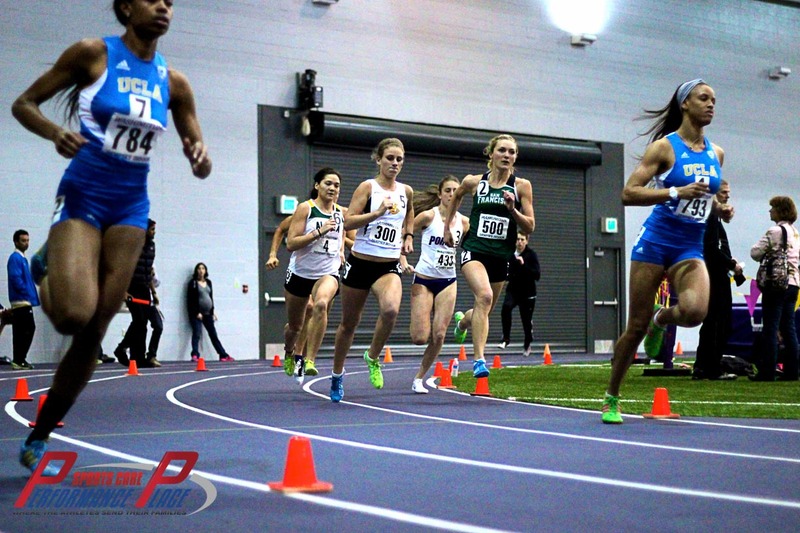 If you’re a middle distance running, see what metrics should be on your radar. See how your metric differ as a distance runner. How you can decrease injury and increase performance within less than a minute a day. If you’re concerned about the risks of adding strength training this is a must reach chapter. Learn the newest theory for injury prevention. Female athletes MUST read this. If you haven’t recovered from your injury this is your chapter. Chapter to come soon… guest writer! Chapter 19: CRAMPING WHILE RUNNING? This chapter will give some insight. This chapter will go over proper placement of the Knees at Stance Phase. How important is arm swing? Learn about the intimate relationship of the flexors and extensors. You need these four aspects in your training to perform at a high level. We will be starting with the three most common myths of resistance training. These are the top reasons why you or your friends shy away from weight training to improve performance. If you still don’t believe me, ask around. Ask some very fast people if they weight train or not. If they do, ask them if they’ve noticed any negative effects. I’ll bet 99% will say no; but that other 1% will say there’s an aesthetic effect they didn’t like, not a performance based one. Typically, the amount of running volume you do will offset the possible bulk you’d be putting on. That being said, there will probably be some noticeable changes in your upper body and arms over the years with continued weight training that some women may not like. Developing “stronger looking” arms and shoulders comes with time, but consider this an asset to improve your running. Arm swing is a natural part of running gait. However, we cannot correct mental image hang-ups, so understand these changes happen over years. They don’t sneak up on you. Resistance training can help you get faster by improving running economy, vVO2max, V02max, and HRmax. It is especially important to emphasize training reactive-strength. High reactive-strength (Low Load/High Velocity) allows for proper stiffness of the leg, allowing the body to recycle elastic energy from each footstrike. This training principle is based on the Law of Conservation of Energy (who knew that physics class would ever come in handy!?). It states that energy cannot be created or destroyed. How is this related to running? It means that with proper training, the elastic energy potentially lost during each step can be shuttled right back into your stride. Granted, there are many types of resistance training; and just like different types of running workouts, each has their goals. Each one can be designed to improve your body’s functionality in unique ways. We will go more into styles of resistance training based on specific goals later. During race season, only one day a week is recommended for strength training. During off-season, two days a week will still make you faster. How long does a workout last? It can be anywhere from 30 minutes to an hour. But it really depends on the style of programming. I like to keep the exercises grouped together in a tight fashion to simulate the fatigue state we encounter with endurance running. If you chose to spread it all out, not only will it take a lot longer, you’ll also lose that neuromuscular fatigue challenge. If you don’t think that’s all that important, think again. It is the first part of the cascade of mechanisms that lead to running injuries. But we will cover more on this later. Should they be done before a workout? Depends on the day and your goals, etc. Programming is a science, but I would say generally that the only way you can get faster at running is to run. The effect of weight training on your running will only come to fruition if you run, so don’t allow a weight training goal to trump your running goals. If you still think there’s not enough time, I’d suggest this explicit video. CT Fletcher has motivated many people I know… he doesn’t allow excuses to kill his goals. Again it has some dirty words so if that offends you DON’T WATCH this video. Now that we are all on the same page about the top three myths of weight training for runners, we can focus on what weight training will assist with. Let’s go through the top three benefits of adding resistance training to improve your running performance. Running economy is an extremely important concept in the running world. If this is the first you’ve heard about it, believe me, you will start to notice it in a majority of credible articles that you read. Simply put, it is how efficient your body is at using the energy it has. Think of the gas milage of an eco-friendly car versus a huge truck. You want to be the eco-car in this case. Running economy is one of the top two most important indicators of elite runners. It is composed of many different variables, so I won’t bore you with the details, but know that weight training can increase it regardless of distance. How much better? I’ll show you some research later. Less ground contact time is exactly what it sounds like; just like a cheetah, the faster you move, the more time you spend flying rather than in contact with the ground. Faster paces equate to less ground contact time, so increasing your speed will affect your gait. In addition, faster paces naturally equate less heel strike. Fewer injuries is always a great thing. We will go into the most common mechanism of injury for running later, but research has proven that less ground contact time equates to fewer injuries. Does this mean running faster lowers the risk of injury? I can’t honestly answer yes or no, but I can say from clinical experience, I can tell you that I see more knee injuries in slower runners than faster ones. I also see more joint and cartilage injuries in slower runners. Faster runners present with more calf, ankle and foot injuries. Granted, this is not research-based, but it has been pretty consistent over the years. Weight training improves your neuromuscular recruitment. It’s like a tune-up for your muscles; the better they work, the less gas they burn and the more miles they can go before they “breakdown”. The better your neuromuscular system works, the better you will be able to run. Gait will improve, form under fatigue will improve and so will the way you feel. It will feel like you have to put less effort into running at your prior pace after implementing a resistance training program. Now, onto a little of the science part. I want you to be familiar with some of these terms because as you are reading through some of my references or even some of the more science-based articles on the web, you will need to know what they are talking about. A majority of the time, the research will not be as friendly about breaking down the language…that’s why you need to read my articles! I’m here to help! Don’t worry, after the definitions, we will tie this all together so you can understand and actually use it. 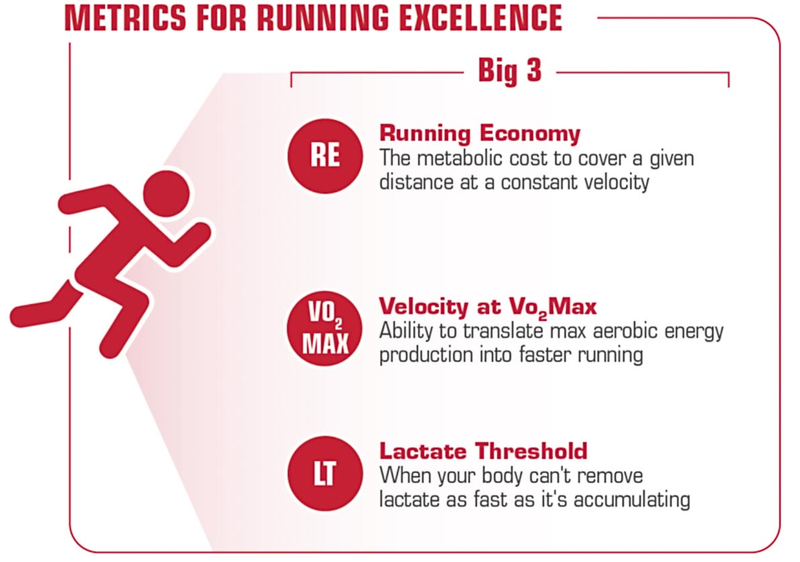 The three most widely accepted performance indicators are Running Economy, vVO2max and Lactate Threshold. Running Economy (RE) is the metabolic cost to cover a given distance at a constant velocity (9) and shown to be a stronger indicator of performance than VO2max alone. Lactate Threshold (LT) (17) is the intensity at which lactic acid begins to build in the blood, which is roughly around marathon pace. (16) Competitive runners typically will run around the highest VO2 possible before the bloodstream starts to accumulate plasma lactate. VO2max is the measurement of your body’s ability to consume oxygen within one minute. 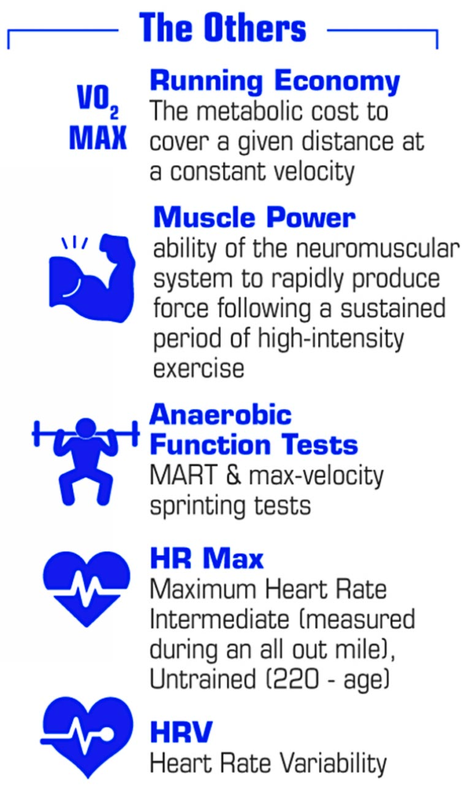 Anaerobic Function Tests: vMART & max-velocity sprinting tests. HRmax = Maximum Heart Rate: Intermediate (measured during an all out mile), Untrained (220 – age). HRV = Heart Rate Variability is the variation of time intervals between heart beats. More useful than RHR (Resting) and HRmax. I know these are a lot of numbers and abbreviations. It can be confusing to know what to focus on, so I will break these down even further according to rough distances or events later in the article. For now, let’s tie all of these measurements together so we can know what we can change. Did you know two runners with a similar VO2max can perform very differently? The reason for this is the different amounts of oxygen and energy that they use at the same speed. The runner with a more economical use of their oxygen and energy will excel. This point illustrates how running economy allows elite runners to dominate. Like I said in the beginning, running economy is an extremely important indicator of excellence. In fact, most economical runners typically have high VO2max and Lactate Threshold (STUDY). Running economy itself doesn’t change too much with speed since what we are measuring is the total oxygen cost to run 1 km. Remember, the total oxygen used doesn’t change much, but the amount of oxygen per minute moving will increase with speed; and since it takes less time travel a kilometer (if running faster), it evens out. 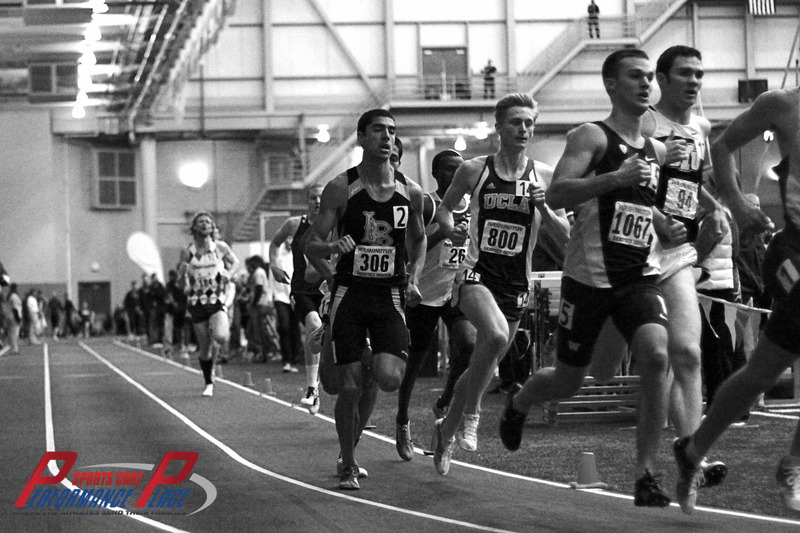 Research is conflicting on Lactate Threshold and how to be efficient at improving our number. Some say we should train at or above threshold pace, some say there is no benefit. Personally, I would recommend going at or above threshold pace if we looking to attain it in a race. In regards to training to improve VO2max, we want to hit range around vVO2max, so I feel Lactate Threshold is similar regardless of the conflicting data. So, how can we improve running economy? So, if you are thinking that a Saturday long distance run combined with a casual jog during the week is going to help you race better, you are mistaken. The first two sections I’ll focus on that we can do differently (without altering gait and cutting off body parts) are super important, so really understand these. The others are more for your comprehensive understanding, as you may have come across this information in various places. What kind of intensity improves economy? Explosive and heavy weight training? Intuitively, a yes. Barefoot running revealed less vertical displacement (upward and downward motion) during running (24), which did yield better running economy. It’s interesting to note that barefoot running also resulted in higher leg stiffness, which produced less injuries and resulted in better use of the elastic energy through the muscles and tendons. The underlying theory of the study was that reduction of shoe weight would improve economy by requiring less effort to more the leg through its gait. You said “vertical displacement”; so, decreasing it can improve economy? I have dug through a lot of research on this, and I’m choosing to leave this section unanswered right now since there is too much uncertainty. What about kinematics of running gait? Yes, but there are a variety of joint and angle factors that support my answer of yes, even though only one of them shows a very strong relationship across multiple studies. Less leg extension at toe-off? How can we obtain less leg extension at toe-off? Modification at two joints can accomplish this: decreased plantar flexion (pointing of the foot) at the ankle and decreased knee extension (straightening of the knee) as we push off. Why does this make us more efficient? The theory is that the hip extensors contribute more through better leverage or being in a better point in their length-tension relationship with this modification. Does being heavy make us less efficient? The way I would spin this point is to optimize your weight and improve your running mechanics. I won’t even go into mechanics though, since it is not anything I can give good information on. I can only think of five people off the top of my head who would have better information to give in this category. Maybe. The studies are conflicting, but we do know that normal arm swing decreases that nasty vertical displacement we spoke about, so I would recommend keep the arms moving. (28) Also, altering arm motion can alter leg motion. It reminds me of someone throwing a baseball with their opposite arm…it looks as awkward as it feels. What are some easy tips? Adding one or all of these can dramatically increase your race pace within a few months. As a middle distance runner, you should be more concerned about the following indicators. If you are unsure if you are a middle distance runner, it is classified as being “beyond a sprint and up to 3000m”. Increasing your running economy and vVO2max will get you more personal records and open up a whole new world of running velocities. Mind blowing! If you are an untrained runner or don’t know how to measure either of these factors, a great place to start is with heart rate. HR max training can be used for certain training zones rather than vVO2max in unfit or inexperienced runners. HR max can be measured on an all out mile effort and recorded, but if you feel this is still too advanced, you can start with the older method, 220-age. Heart rate variability can assist you in reaching your goals in a few different ways. I know it sounds like I’m full of it, but current research shows a very promising connection between these factors. (29) The great part is you can track it with only 60 seconds of your time every morning when you wake up. Phone apps can now tell you your HRV and what lifestyle changes you can implement to raise it. Use we can use max heart rate, but the age-old method (220 – age) is just not specific enough. It does not account for injuries, body composition, and health history. I don’t know about you, but some of my friends at age 35 are not the same fitness level as I am! You can measure max HR with an all out mile effort and measure your max during that effort, but that method isn’t really practical on a daily basis. HRV is a very reliable measurement. This 40 week study on strength training of distance runners in one of the longest durations yet. I took the liberty of putting it all in a clean graph for you. Note there was no significant change in body mass. Also note the increase in reactive-strength resulted in an increase in leg stiffness, which decreased ground contact time and lowers your risk of injury. There was nothing negative found in this strength training program. I wanted to present it here as my attempt to bring awareness of the benefits of strength training because I still have a strong majority of runners telling about their concerns… most reasons were denounced throughout this article. Strength training will make you faster, more efficient and less prone to injury… where’s the hang up? Most articles and running magazines hit this at least once a year, so I won’t spend too much time on what each one is; besides, I have the whole list in this section. Read about your injury through the correlated link but don’t leave yet! More importantly than just the name of your diagnosis, read through the remaining sections of this article to understand how and why your injury occurred. Most muscle, joint, tendon, ligament and cartilage injuries from running stem from the same, underlying problem. I’ll go over this in full detail in the section on Mechanism of “Overuse” Running Injuries. The classifications of muscle injuries have changed. Finally! Thank God, we no longer have the three-type model. The reason I was not a fan of that model is because it didn’t allow for a clear definition of what the injury was. In fact, the lack of clarity of the term “strain” amongst many healthcare providers spurred the Consensus Statement On Classification Of Muscle Injuries (2012). A functional muscle injury won’t have a MRI or ultrasound finding, yet the runner has increased muscle tone or firmness. You’ve probably known several people who’ve complained of muscle “tightness” that have come back from their doctor’s office with a normal MRI? It’s extremely common. Some runners are told it’s all in their head; others decide it’s real, but run through it since it’s “normal” on MRI or ultrasound. This was the real no-man’s land when it came to classification of running injuries before this statement. I’ll break this classification of injury down even further in a few minutes. The second grouping of the indirect muscle injuries is structural. This grouping is what we are used to hearing about. It’s when the muscle has an actual visible tear on MRI or ultrasound. These were our old Types 2 and 3, but now a partial tear is a Type 3 Structural Muscle Injury, and a complete tear is now called a Type 4 Structural Muscle Injury. These Type 3 and 4 Structural Muscle Injuries, require a little bit more TLC and management. Again, I discuss them for completeness sake. From here on in this article, I won’t be focusing on them anymore. Let’s move back to the “fun zone”: the Indirect Functional Muscle Injuries… I know it’s becoming a mouthful :D! We will get into Type 1 Overexertion-related Muscle Disorder because it will be the most relatable. DOMS or Delayed Onset Muscle Soreness (DOMS) is something you encountered the very first time you ran. You became sore for two days, then it went away. For most experienced runners, we don’t question DOMS as being an injury of any sort, but the fact of the matter is that it’s still a small amount of muscle damage undetectable to MRI and ultrasound. During DOMS, we still have acute, local inflammatory response from eccentric loads of training. It typically self-resolves within a week or less and is usually painful at rest. Type 1a: Fatigue Induced, while still undetected by imaging, is painful with motion. It can feel dull, achy or stabbing in nature, and if left untreated, can lead to a structural injury. It’s currently a type of injury that requires more studies to elucidate. Now, we are getting into the good stuff: Type 2: Neuromuscular Muscle Disorders are why a strong majority of runners feel pain. Let’s start with Type 2a: Spine-Related. Type 2a: Spine-Related is just how it sounds. Your “muscle injury” is actually due to a spinal cause. Every muscle has the ability to contract and relax via the electrical impulse from a spinal nerve. Since the signal comes from the spine, it’s logical to assume that if the spinal nerve is sending too much “electricity”, the muscle will be “turned on too much”, creating increased tone or “tightness”. And the list could go on. Please note: there doesn’t have to be back pain at all to have an effect on the nerve. Hip drop is a gait finding which can put light pressure on a nerve root, creating distal “injuries”. The common theory on how to limit a Type 2a: Spine-Related muscle injury involves creating stiffness of the trunk while optimizing function and mobility of the hips and midback. On the flipside of the coin, sciatic nerve pain can create high muscle tone in the hamstring and/or calf, but that doesn’t mean the calf muscle is torn in any fashion. Uncorrected in the long term, this typically results in a runner who depends on their strong leg to supply power. The secondary development of compensatory gait changes then produces injury to the healthy leg. How long does it take for the compensatory injuries to develop? It can be quick; even a matter of weeks with an altered gait can have a negative effect. I will say it one more time to emphasize the point: your MRI doesn’t have to be positive to have nerve disturbances. Consider a lumbar spine block procedure; this is an example of a doctor-induced functional disturbance. Again, the MRI will be negative, but there is still an effect on the spinal nerve. A detailed examination by a skilled sports practitioner can help identify a nerve disturbance. An MRI on the muscle itself will show no tears, only fluid within the muscle in question. The Type 2b: Muscle-Related category is necessary because we prescribe treatment plans slightly differently for them compared to a Type 2a: Spine-Related muscle injury. Type 2b are a little more complicated to understand, but it’s essentially where a muscle that isn’t doing its job signals to the muscle in question to increase its tone/tension. If the hip extensors (gluteus maximus and hamstrings) are not “firing” at full force, they signal (through the alpha motor neuron) the hip flexors via reciprocal inhibition to get tight. The concept of reciprocal inhibition is where the central nervous system tells one muscle to contract at the same time it tells the opposing one to relax. This is how we are able move the hips forward and backward. If both the hip flexors and extensors were contracting at the same time, our hips would be locked into an isometric contraction. The hip joint wouldn’t move. Thus the issue with Type 2b: Muscle-Related muscle disorders is they stem from the surrounding muscles. I dare say this injury pattern is the strong majority of what we see with runners. Type 2a: Spine-Related and Type 2b: Muscle-Related are by far the two most common reasons for running injuries. We sometimes call them “overuse” injuries and say they build up with scar tissue, but is the remedy just tissue work? Logically, if the painful muscle is tight from the spine or another muscle, we have to stop the CAUSE and address the scar tissue locally, but don’t just address one part of the injury please! That thought process is old news. Let’s address the CAUSE AND EFFECT. Lastly, we will address the Structural muscle injuries we spoke about way up higher in the beginning of the article. This is where there has been enough damage to the muscle to create a visible tear on an MRI or Ultrasound. This happens when we allow the Type 1a, Type 2a, and Type 2b to occur too long. Positive imaging findings are not always painful either. Please keep that in mind. With that being said, you can still run after sustaining a structural muscle injury… it just takes a little bit different treatment plan. The phase of a tendon injury dictates how we should treat it. Each phase of tendon injury heals with different success rates and timelines. Each tendon of the body also has variability, so this is a general section that should be interpreted by your sports medicine professional. A reactive tendinopathy occurs from a spike in training load. 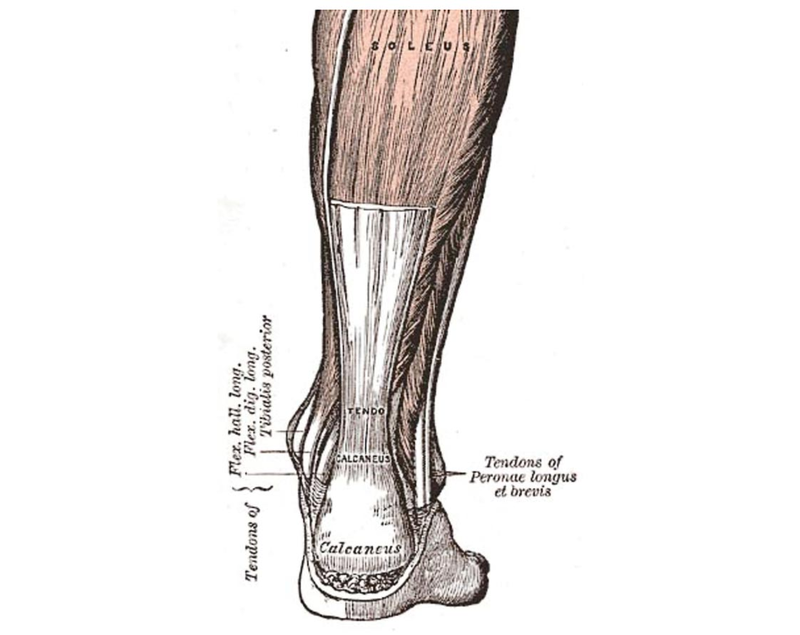 This can occur due to direct trauma to the tendon (as in the foot) or from an indirect effect, which would be loading to the tendon (as in the Achilles). This typically occurs in new runners beginning their journey, seasoned runners adding a new type of workout to their routine (hills, sprints, speed work) or runners coming off of an injury/ inconsistent training volume (chronic or acute volume). Most runners think this is an inflammatory response, but we have found in the labs, the process doesn’t match that of a typical, acute inflammatory response. The changes within the tendon are thought to trigger collagen remodeling in response to the mechanical load it was subjected to. Plan of Attack: Load Management, Reduction in Frequency and Intensity of Tendon Load, Avoid Stretching, Isometrics in uncompressed positions. Long-term Outcome: Can return to normal if overload is reduced and sufficient time is given between loading. The tendon dysrepair phase occurs in runners who decide to ignore what their body has been telling them and do not address the tendon injury at the reactive-tendinopathy phase. The tendon becomes chronically overloaded. It is possible to reverse this, but the gross negligence of the athlete or programming is really to blame in these cases. You need to properly manage your soft tissues or you won’t be running healthy for long. Plan of Attack: Load Management, Soft Tissue Rehab, Joint Mobilization, Heavy Load Strength Training, Eccentric Exercise. Long-term Outcome: Some reversal is possible if load is reduced initially and there is exercise application to stimulate matrix structure. Although the word “degeneration” sounds as if it applies to older athletes, that’s really far from the truth in many cases. Middle-aged runners down to runners in their mid 30’s can advance to this phase of tendon injury very quickly by ignoring what their body is telling them. It sounds like I’m saying rest is needed, but it’s really more complex than that. I don’t typically tell people to not run and certainly not to rest, but there are treatments/rehab you should be doing in this phase of tendon injury that most people don’t do until they seek care of a good sports medicine provider. In this phase, the tendon is grossly incapable of tolerating the load it’s subjected to while running. The collagen of the tendon is disorganized (compromising tendon strength) and the cellular matrix continues to breakdown. Upon examination, we find these tendons are swollen, nodular and painful. Rupture is possible due to the lack of loading ability. In this phase, the matrix begins to breakdown, increased vascularity brings new blood vessels and nerve growth with it. The current theory states that the “pain is from nerve in-growth” (Magnusson, et al 2014), not inflammation. Plan of Attack: Heavy Load Strength Training, Eccentrics, ESWT, Soft Tissue, Joint Mobilization, Rehab, Regenerative Cell Therapy. Long-term Outcome: Little Capacity for reversibility. Cartilage injuries are a different beast altogether. When cartilage degrades and wears, it is currently (as of 2107) nearly impossible to get back. For this reason, I advise the runners I see to treat their cartilages like a rare commodity. How we do this is by improving our body’s ability to resist the most common mechanism of running injury (which I will have a whole section on later in this article). The cartilage breakdown in Runner’s Knee occurs due to an abnormal wear pattern that is the result of poor form. 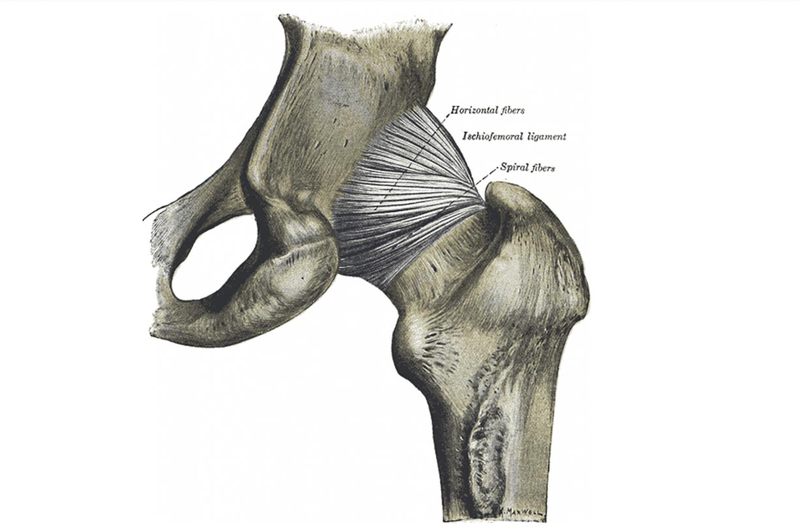 Cartilage of the the hip breaks down by the same mechanism of injury. Pinching in the front of the hip is a common sign that your cartilage is in the process of wearing down. Bone injuries while running (if not trauma related) are another one of these injury categories due to poor planning. While sources differ, most estimates say that 74% of female runners have an eating disorder. Make sure you speak with a coach if you have experienced a bone injury with good programming. The joints of the body require mobility and stabilization. Each joint is different based upon its job and bony architecture. Some joints are designed for high mobility and lower stabilization, such as the hip joint. Others are designed for high stabilization and lower motion, such as knee. The sliding scale varies joint to joint. 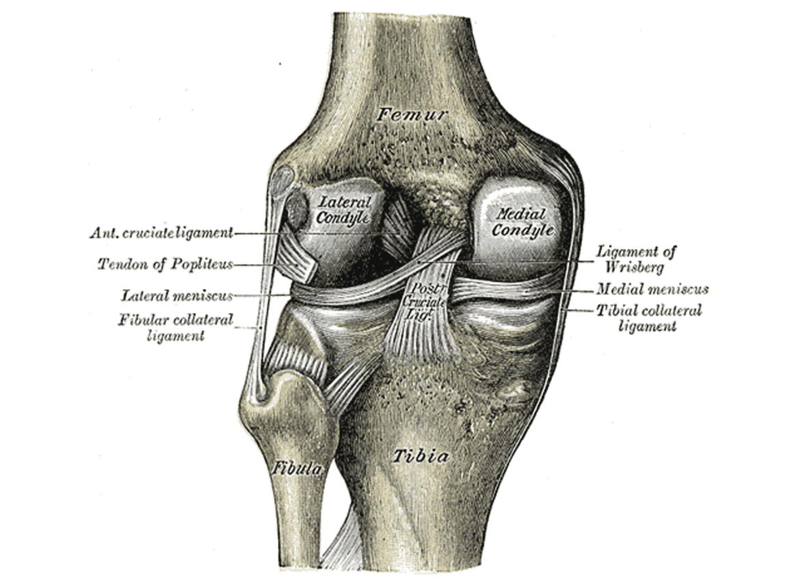 Joints can become pathologic when they develop local changes. Osteoarthritis, labral tears, altered neurological function and ligament tears are a few reasons a joint could move differently than designed. You may be wondering what we can do to restore mobility or stability to the joint? Well to be honest, in some cases you can and others you can’t. I have been working with a 60-year-old athlete with hip osteoarthritis for the past year. We’ve regained a significant amount of hip range of motion, but we still fall short of what normal is. He was fine with that answer. I think everyone needs to understand there is a risk and reward to everything in life. The bony growth in his hip doesn’t allow certain motions. We can’t push through a “hard-end feel”, and he’s been performing better than he has in years. I think this is all we can ask for in cases of permanent joint fixations. This is one of the most important sections in this article mainly because shows the cascade of events that lead to the majority of running injuries that you can name off of the top of your head. I could keep going, but I won’t. I think it’s important from this point forward to understand that all types of injuries have a grading process. An example is a muscle injury. The CONSENSUS STATEMENT ON CLASSIFICATION OF MUSCLE INJURIES (2012) demonstrates this principle in their classification of an Indirect Muscle Disorder/Injury (type 1-4). This Indirect or “overuse” category is the strong majority of the type of injuries many runners experience. Grades 1 and 2 “overuse injuries” are actually classified as Functional Muscle Disorders. If you don’t know what I’m talking about, you didn’t read the whole section on muscle injuries. The opposite of a Functional muscle disorder is a Structural one. “Structural” muscle disorders are grades 3-4, and are what most people imagine when they visualize their muscle injury. They think of it as being partially torn or strained. Strains are actually interstitial tearing of muscle. You’re probably thinking, “get to the point.” So, here we go. When this cascade of events you see in the image (IMAGE COMING) occurs, many of your joints have jumped to initially developing a functional type 2 disorder, but it will become that tear you imagine if you don’t stop the events from occurring every time you train. Once it becomes a tear, it becomes a “structure” injury which oftentimes results in pain when you’re NOT training. How can we halt the process? Keep reading and we will go over it all. We have hip and shoulder muscles that assist the midline of the body to become rigid; the old thought of the “abs and obliques” as being the only important parts has long passed. Back to the image. Notice the “Swayback” appearance. Some therapist will can this “Lower Cross Syndrome,” which is fine in my book. This posture tends to increase as people get tired: midline stabilization decrease, breathing becomes labored and gait degrades. I would be lying if I said this is the only way these injuries occur. I’m not here to deceive anyone, I’m here to educate. I would say that the second most common way they occur is from foot/ankle dysfunction. Last on my list would be gear, roads, or bad luck. I’m simply of the mindset that with knowledge comes empowerment. With empowerment, you can improve how you move and prevent these conditions. I maybe missing something, but I think that should cover most of it. If you have further questions on this, check out my Podcast topics or email me to cover the topic. Granted, there’s different ways that injury prevention can be broken down; there’s many ways to skin a cat. I think this fundamental sequence of developing a stiff trunk, hip and spine dissociation and bringing that to the sport will serve most of the readers well. Don’t focus on passive stretching (Moreside and McGill, 2013). The flexibility many runners seek to gain through stretching may be driven by no more than the “feeling” of perceived tightness. The feeling of tightness isn’t the same an a measurable deficiency of normal range of motion. If we have a normal passive range of motion, I personally don’t suggest stretching the “feeling” of tightness. Improve the ability of the hips and core to properly work in unison which greatly improves how your hips, legs and back muscles feel and as well as your functional range of motion. One study in 2012 concluded that passive hip range of motion can be greatly improved by performing core endurance exercises in addition to exercises targeted at working on dissociation of the spine and the hips. Since we were talking about the hip, you may be tempted to ask how much hip motion do we need as runners? It depends on how much motion each runner needs. And this is very dependant on the individual’s body geometric, development and speed. Speed is a huge factor in gait amplitude. Consider the whole debate with heel striking. Now think about walking. Your forward lean has a ton to do with your ability to keep your foot under your center of mass. Get up and walk right now, then come back to read the rest. I know we took a slight tangent, but back to the topic of not focusing too much on flexibility…it will come as you improve your core endurance and ability of your spine/pelvis/hip complex to work well. Final note: Passive stretching WILL increase your range of motion, but flexibility without control is a recipe for disaster. We should always target to enhance our body’s ability to control the range of motion we have. That won’t come with passive stretching. The body is very adaptive. Designing drills to teach the brain/body connection to become stiff in a non-fatigue state is a great start. Neuromuscular fatigue is exactly what it sounds like: the system comprised of both the neurological system and the muscles gets tired. So tired that it eventually gives out. Form degradation begins at the top and moves down the body, starting with the once stiff-lumbar spine. Distal injuries occur when we lose our battle with fatigue. How can we train to prohibit form degradation with fatigue? Once perfect form is achieved in a non-fatigued state, we can gradually move to a more fatigued challenge. Practicing core stiffness in a fatigued state is much more challenging and transfers over to your running. I have examples of exercises in this section of the website. I call this “taking small doses of venom.” Similar to how our body reacts with snake anti-venom (derived from venom itself), the body’s neuromuscular system will remember the “venom” in the drills and learn to combat it when running, leading to fewer injuries. Funny, it looks like a bunch of typical exercises, doesn’t it? Exercises don’t have to be to complicated to be productive when used in this fashion. Body weight exercises are a great idea. A bad idea would be a 1 RM deadlift or back squatting till near failure. When we are fatigued, there’s a higher chance we deviate from perfect form. The last thing you want is to be pushing a large amount of weight. That’s a back injury waiting to happen. There’s a whole different time and place for heavy lifting. Start from two legs to one, unloaded to loaded with light resistance, slow to quick, and weighted in the center of the body to weighted toward the sides. Kettlebells are great tools to use in this situation. Programming is very dependant upon the athlete. Someone who can’t squat with perfect form wouldn’t be advanced to a pistol squat. An athlete demonstrating neuromuscular fatigue unweighted will not be allowed to touch weight. This is where a progression becomes important. If you’re unsure about this process, just email me and I can direct you to some great coaches. However, I will speak here about the issue surrounding the problem of the Female Athletic Triad (FAT). If you or your female athlete has all three of these seemingly unrelated issues, you need to see a professional for nutritional and possible psychological counseling. Treatment and rehab of running injuries starts first with identification of the underlying cause or event(s) that triggered the injury. After reading the section on the most common mechanism of injury, you may be surprised to hear me say that they don’t all occur in the same way. The truth is there’s no “textbook” mechanism of injury, but each case has its unique aspects to it. I’ve had runners come in with new foot conditions after introducing new spikes. I’ve had runners come in after adding core training to their program. I’ve had runners get injured after sustaining an injury at their day job. Each case is unique, so we have to identify the reason for the injury. What are their hobbies and habits outside of running? Co-management with coach, strength coach, etc. It seems so simple when we write it down, but that’s the true challenge of working with an athlete, or any person for that matter. People don’t always follow recommendations. I’ve been working with athletes for years and have found that one of the largest barriers for compliance is education. Most runners aren’t experts in sports medicine and they shouldn’t be expected to be, but I believe they should make it their passion to know about the body, especially as it pertains to running. If you’ve made it to this part in this article, I’d like to commend you. Taking an interest in how your body works will allow you to make more educated decisions along your career. Imagine playing the stock market without knowing anything about it? It’s just plain negligent. If you have more topics you would like hear about, please email me. I’m here to spread the good info!! I’d like to acknowledge my good friend Dr. Richard Hansen DC, DACBSP®, CSCS for putting on an awesome seminar at the Sports Chiropractic Symposium in 2017. His presentation made this article, graphics and any correlated podcast/ videos possible. 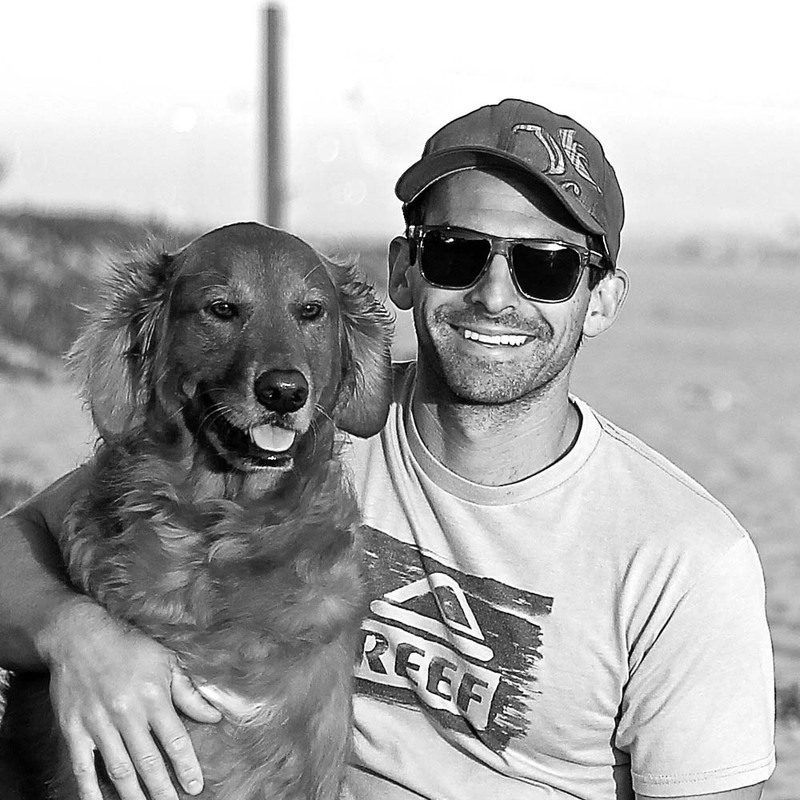 If you’re looking for an online running coach or a sports doctor in Denver CO, he’s your guy. Guest post by Dr Richard Hansen DC coming soon. Several questions have come in lately on muscle cramping while running, especially later in runs. Personally, I used to think this was related to dehydration, lack of electrolytes, or other possible systemic reasons. 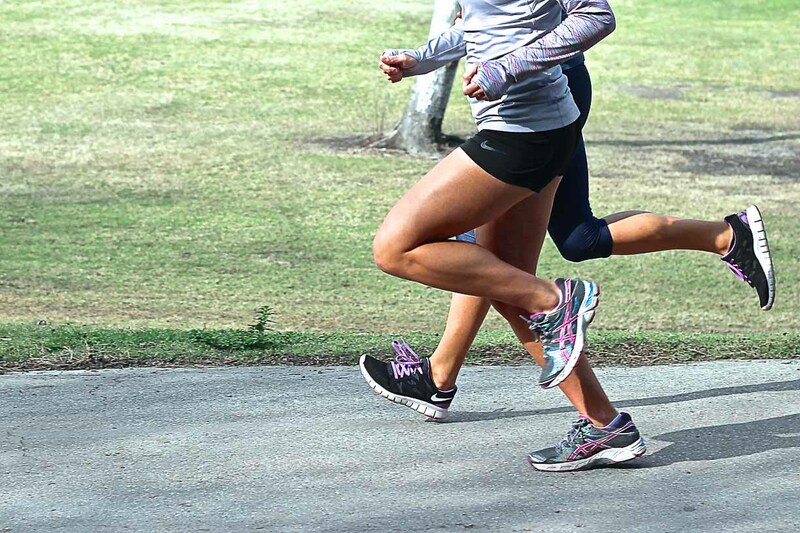 Many times, I’ve seen an athlete with unilateral leg muscle cramping while running, and regardless of distance, I tend to think it’s mainly a soft tissue problem, such as soft tissue fibrosis, tears, or weakness. It seems this study points towards the lack of neuromuscular control, or neuromuscular fatigue, as a possible main factor in muscle cramping while running. In fact, the study did not test moderate decreases in hydration levels, but instead tested severe and serious levels of dehydration in combination with moderate levels of electrolyte decrease and still found no correlation of these factors and muscle cramping while running. Logic would tell me that we need to focus on improving the “endurance” of neurological control within the regions prone to muscle cramping while running in each athlete. How do we do this? That would be up to the fitness professional, but I’m sure it can be accomplished in a variety of ways. I feel it’s probably best accomplished by training the individual within a controlled environment and challenging those regions with activities that require a large amount of neurological control/input. This might be a little more technical than most people want to hear, so as usual, if you want to get to the “less technical” version, just scroll down to the italics at the end. What we want is a powerful “scissor-like” motion from the side view. One standard point of reference for this is where the trail leg knee is when the front foot contacts the ground. This knee should be well in front of the stance leg knee, on its way to an optimal height before it starts to extend and draw tension on the hamstring. The reason for this is that when the lead leg knee has a significant amount of height before the leg starts to extend, the hamstring and abdominal muscles on that side will store energy in the form of a “pre-stretch” of the hip flexors of the trail leg. Running efficiency is mostly based upon conservation of motion and the ability to maximize the elastic properties of your muscles. It is not much different than some of the concepts of an electric car where energy is stored and then reused. If the trail leg knee has not cleared the stance leg knee, we should expect less output at push-off and contraction of the lead leg hamstring as it begins the stance phase. Remember, as we mentioned in a prior posting, there is a direct relationship between the hip flexor of one side and the hamstring on the other side; each swing leg will affect the stance leg. Get the swing leg knee forward quicker, with proper foot placement, and you will see an improvement in efficiency of the push-off leg and running overall. However, you still need to have healthy muscles to do this. Muscles will need to be strong and elastic enough to store and transfer energy through proper running mechanics. Scar tissue and fibrosis from overuse and old age will decrease efficiency dramatically if not properly addressed. We are going to talk about the reactive nature of running and how different regions of the body need to work together. At this point, we will use arm swing as the topic. Everyone realizes that it’s natural for your arms to swing back and forth from the shoulders as you run, but does anyone understand why? How important is it that your arms are even moving in the first place? Again, everything is connected directly or indirectly and can either hinder or enhance your performance. With each arm swing, a pre-stretch occurs in the oblique muscles of the torso, or core. This stretch preloads the soft tissues and causes motion of the pelvis in a rotational fashion. Believe it or not, this has an effect on the relative rotation of the hip, as the pelvis is rotating around the femur, which is fixated on the ground with on the stance leg. This question came to me when a client asked me why we need balance between the muscles that propel us forward and the ones that bring the leg forward in running, as the muscles that push off the ground (in the toe-off phase) are the ones that seem to be doing most of the work? Great question, and I have an answer. First, the entire body is designed to function as the sum of each of its parts. Everything is interrelated. One muscle cannot function optimally, solely and/or independently of the others. There must be harmony between each group. In fact, kinetic dysfunction is often what we are looking for in gait or movement analysis with runners, cyclist, and golfers, as well as athletes in other team sports who’re experiencing problems. Without going into the real minutia of this statement, let’s just consider the overall meaning: the SWING LEG muscles have a direct effect on the STANCE LEG muscles. This shows an intimate relationship between the function of the muscles of the leg coming forward giving the muscles of propulsion the opportunity to do their job. Their relationship is like a marriage. This passage is from Running: Biomechanics and Exercise Physiology Applied in Practice by Frans Bosch. (31) It means running should be an action of “passive, elastic energy”, which can also be thought of as energy that you do not need to provide in your gait. Essentially, all muscles have an elastic component, meaning they should be more like rubber bands than ropes. When muscles are overused and over-trained, they develop “rope-like” properties because scar tissue develops. This is process is normal, but not optimal. Specific muscle work (targeted, not general foam rolling) is a great way to combat the loss of elasticity in your running muscles. In addition to muscle work, plyometrics training is a great way to train or re-educate the elastic properties of your muscles. One common running gait fault is excessive forward flexion of the trunk at high speeds, which can cause a decrease in the pre-stretch of the abdominals and hip flexors. The abdominals and hip flexors are primarily responsible for bringing the leg forward during swing phase and the majority of the work should be “passive” in nature by way of the elastic properties of the muscles. The rate of the swing phase (when the leg returns toward the ground) is directly related to contact time of the hind foot (which should be as brief as possible). Based upon this statement, a relative decrease in foot contact time can be attained by increasing the rate of the swinging leg. And one way to increase the rate of the swinging leg would be to increase the pre-stretch of the abdominals and hip flexors by keeping the trunk more erect and keeping these muscles healthy enough for storage of this elastic/potential energy. Remember, performance in running is only optimal with the proper running mechanics and healthy muscles. Without either, you risk being an ineffective runner with quicker loss of energy and fatigue. #2 Beattie K, Kenny IC, Lyons M, Carson BP. The effect of strength training on performance in endurance athletes. Sports Med 44(6): 845-865, 2014. #4 Cormie R, McGuigan MR, Newton RU. Influence of strength on magnitude and mechanisms of adaptation to power training. Med Sci Sports Exerc 42(8): 1566-1581, 2010. #5 Jones AM. The physiology of the world record holder for the women’s marathon. Int J Sports Sci Coach 1(2): 101-116, 2006. #6 Noakes TD, Myburgh KH, Schall R. Peak treadmill running velocity during the VO2max test predicts running performance. J Sports Sci 8: 35-45, 1990. #7 Nummela A, Keranen T, Mikkelsson LO. Factors related to top running speed and economy. Int J Sports Med 28(8): 655-61, 2006. #8 Powers, et al. 2003?? #9 Shaw AJ, Ingham SA, Folland JP. The valid measurement of running economy in runners. Med Sci Sports Exerc 46(10): 1968-73, 2014. #10 Wild J, Bezodis N, Blagrove R, Bezodis IA. 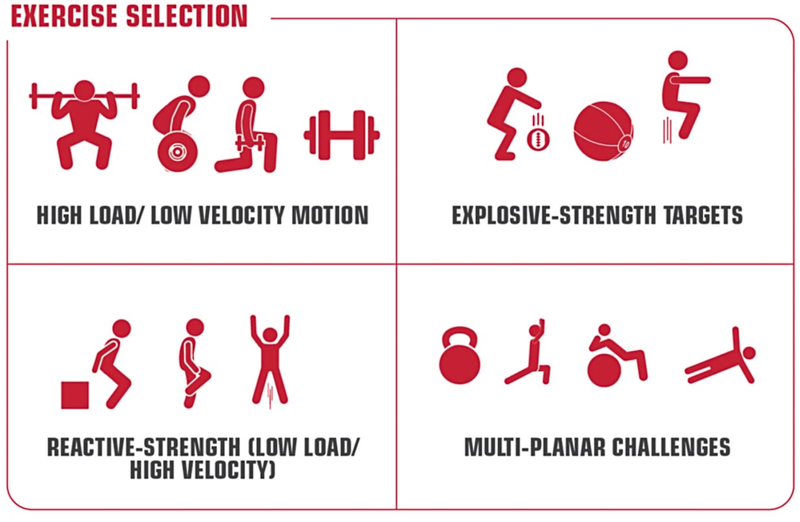 Biomechanical comparison of accelerative and maximum velocity sprinting: specific strength training considerations. Strength Cond J, 21: 23-36, 2011. #11 Hagberg, James M, et al. “Specific Genetic Markers of Endurance Performance and Vo2max.” Exercise & Sport Sciences Reviews, vol. 29, no. 1, Jan. 2001, pp. 15–19., file:///Users/sebastian/Downloads/Specific_Genetic_Markers_of_Endurance_Performance.4.pdf. #12 Ramsbottom, R, et al. “Training Induced Physiological and Metabolic Changes Associated with Improvements in Running Performance.” Br J Sports Med, vol. 23, no. 3, Sept. 1989, pp. 171–176., www.ncbi.nlm.nih.gov/pmc/articles/PMC1478672/?page=1. #13 Lake, M J, and P R Cavanagh. “Six Weeks of Training Does Not Change Running Mechanics or Improve Running Economy.” Med Sci Sports Exerc, vol. 28, no. 7, July 1996, pp. 860–869., www.ncbi.nlm.nih.gov/pubmed/8832540?dopt=Abstract. #14 Vesterinen, V, et al. “Heart Rate Variability in Prediction of Individual Adaptation to Endurance Training in Recreational Endurance Runners.” Scand J Med Sci Sports, vol. 23, no. 2, Mar. 2013, pp. 171–180. #15 Billat, V L, et al. “Interval Training at VO2max: Effects on Aerobic Performance and Overtraining Markers.” Medicine and Science in Sports and Exercise., U.S. National Library of Medicine, Jan. 1999, www.ncbi.nlm.nih.gov/pubmed/9927024?dopt=Abstract. #16 Farrell, P A, et al. “Plasma Lactate Accumulation and Distance Running Performance.”Medicine and Science in Sports., U.S. National Library of Medicine, 1979, www.ncbi.nlm.nih.gov/pubmed/530025?dopt=Abstract. #17 Crowther, Greg. “Training to Improve the ‘Big Three.’” Training to Improve the “Big Three”, Washington.edu, faculty.washington.edu/crowther/Misc/RBC/model2.shtml. #18 Sjödin, B, et al. “Changes in Onset of Blood Lactate Accumulation (OBLA) and Muscle Enzymes after Training at OBLA.” European Journal of Applied Physiology and Occupational Physiology., U.S. National Library of Medicine, www.ncbi.nlm.nih.gov/pubmed/6213407?dopt=Abstract. #19 Franch, J, et al. “Improved Running Economy Following Intensified Training Correlates with Reduced Ventilatory Demands.” Medicine and Science in Sports and Exercise., U.S. National Library of Medicine, Aug. 1998, www.ncbi.nlm.nih.gov/pubmed/9710865?dopt=Abstract. #20 Denadai, Benedito Sérgio, et al. “Explosive Training and Heavy Weight Training Are Effective for Improving Running Economy in Endurance Athletes: A Systematic Review and Meta-Analysis.” SpringerLink, Springer International Publishing, 6 Aug. 2016, link.springer.com/article/10.1007/s40279-016-0604-z. #21 de, C J, et al. “Stride Frequency in Relation to Oxygen Consumption in Experienced and Novice Runners.” European Journal of Sport Science., U.S. National Library of Medicine, www.ncbi.nlm.nih.gov/pubmed/23581294?dopt=Abstract. #22 Moore, Isabel S, et al. “The Pursuit of Improved Running Performance: Can Changes in Cushioning and Somatosensory Feedback Influence Running Economy and Injury Risk?”Taylor & Francis, Footware Science, www.tandfonline.com/doi/abs/10.1080/19424280.2013.873487. #23 Craighead, D H, et al. “A Novel Running Mechanic’s Class Changes Kinematics but Not Running Economy.” Journal of Strength and Conditioning Research., U.S. National Library of Medicine, Nov. 2014, www.ncbi.nlm.nih.gov/pubmed/24736769?dopt=Abstract. #24 Divert, C, et al. “Barefoot-Shod Running Differences: Shoe or Mass Effect?” International Journal of Sports Medicine., U.S. National Library of Medicine, June 2008, www.ncbi.nlm.nih.gov/pubmed/18027308?dopt=Abstract. #25 Halvorsen, K, et al. “Acute Effects of Reducing Vertical Displacement and Step Frequency on Running Economy.” Journal of Strength and Conditioning Research., U.S. National Library of Medicine, Aug. 2012, www.ncbi.nlm.nih.gov/pubmed/22027846?dopt=Abstract. #26 Moore, I S, et al. “Mechanisms for Improved Running Economy in Beginner Runners.”Medicine and Science in Sports and Exercise., U.S. National Library of Medicine, Sept. 2012, www.ncbi.nlm.nih.gov/pubmed/22525760?dopt=Abstract. #27 Arellano, C J, and R Kram. “Partitioning the Metabolic Cost of Human Running: a Task-by-Task Approach.” Integrative and Comparative Biology., U.S. National Library of Medicine, Dec. 2014, www.ncbi.nlm.nih.gov/pubmed/24838747?dopt=Abstract. #28 Hinrichs, Richard. “Upper Extremity Function in Running. II: Angular Momentum Considerations.” International Journal of Sport Biomechanics, Human Kinetics, journals.humankinetics.com/doi/abs/10.1123/ijsb.3.3.242. #29 Gisselman, A S, et al. “Musculoskeletal Overuse Injuries and Heart Rate Variability: Is There a Link?” Medical Hypotheses., U.S. National Library of Medicine, Feb. 2016, www.ncbi.nlm.nih.gov/pubmed/26826630.